From the Hancock County Courthouse, drive west on Hwy 22 for 1.0 mile. 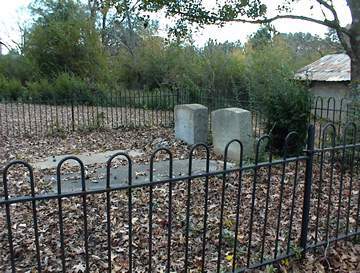 The cemetery is on the left about 75 feet from the highway. A tender mother and a faithful friend. Founder Sparta Agricultural and Industrial Institute October 10, 1910.